Hi, I’m Jacinta and I’m so proud to work with this talented and dedicated bunch! They are 100% committed to the business and will bend over backwards to meet the needs of our customers. We look forward to the start of each working day as we have so much passion for what we do and it’s always a fun and bustling hive of activity in the workshop. As for me, well I’ve been a florist for 17 years and owned the studio for 11 years. I have a Certificate III and IV in floristry, a diploma of floristry design and a Certificate IV in training and assessment. I love my studio and the team we have here really make it a vibrant and happy place to work. Rebecca is our manager and she also specialises in creating wonderful wedding packages. She keeps us all working as a team in the studio and is the resident ‘go to’ person for church and reception displays. Rebecca has a real knack for creating designs that match the customer’s vision. 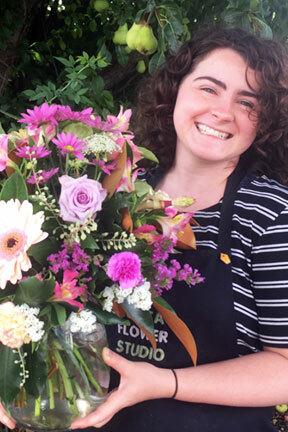 She is a fully qualified Florist with 4 years experience and Certificate III and IV in Floristry. Geoff is one of our Senior Florists. His arrangements are something to behold but that‘s no surprise given he has 30 years’ experience in the industry. 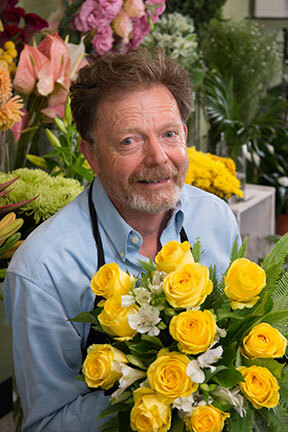 Geoff has a Certificate IIl in Floristry and Certificate IV in Training and Assessment. He has been with us for 3 years however has 18 years experience running his own successful business in Melbourne. 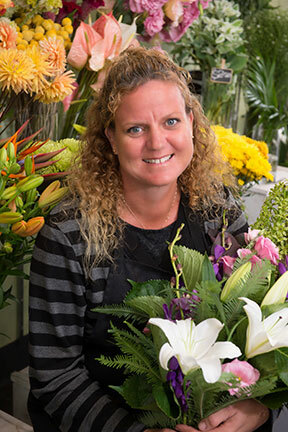 Mel is another of our Senior Florists and has been with me periodically for the last 15 years. She’s loads of fun to have around and her personality really brightens up the studio. 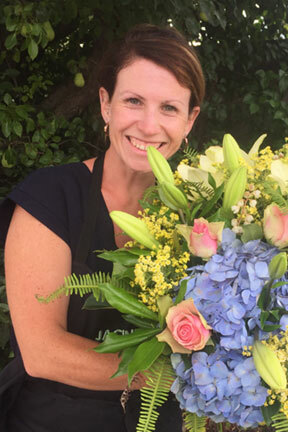 She excels at weddings and bouquets and holds a Certificate III in Floristry. Maddi is our Customer Service Expert! 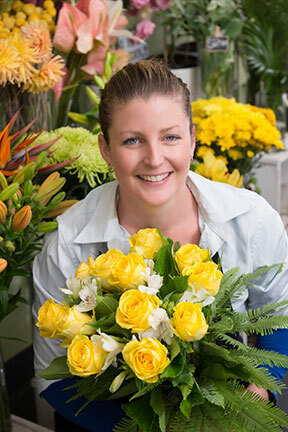 Her warm and caring nature is often commented upon and she will go out of her way to ensure our customers receive the best flowers for their special occasion. We can also thank her for the wonderful merchandising in the shopfront. Siobhan is our weekend warrior! She helps with all things merchandising and customer service and keeps things ticking over with her wonderful organisational skills. Thanks Shev – what would we do without you? 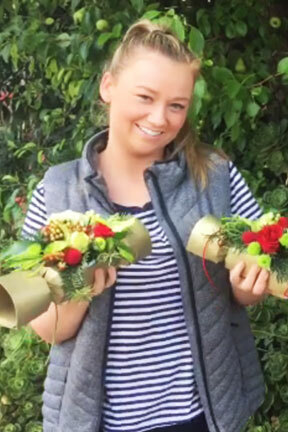 Gabbi is our apprentice and is loving learning about all aspects of the flower trade. From how to care for the stock to arranging bouquets, she has a bright and flowery (excuse the pun!) future ahead of her in this industry. 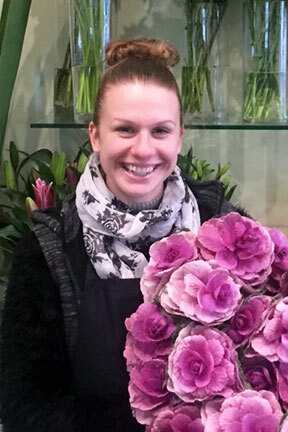 Gabbi gets a real buzz from seeing the smiles that flowers bring to customer’s faces.